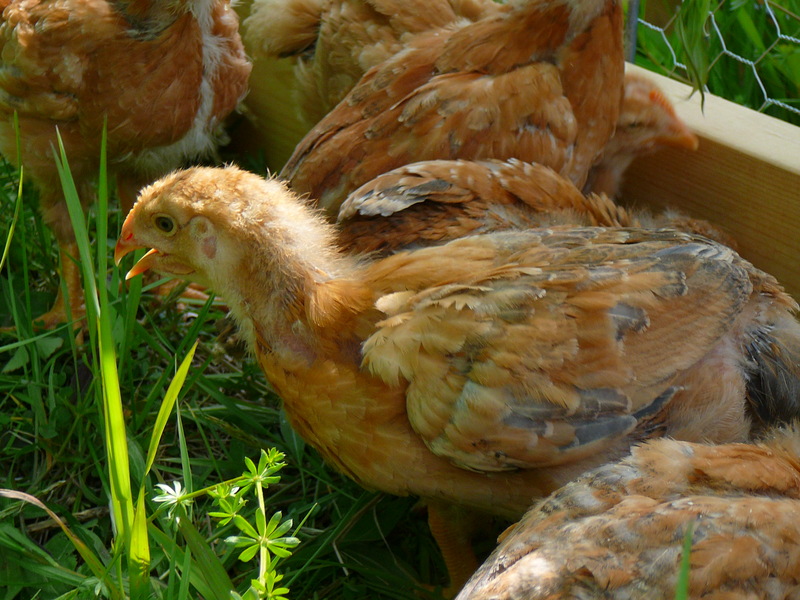 Reserve your tasty, local, pastured, organically-fed chicken! Our bronze Freedom Ranger chickens have been fattening on pasture plants, orchard pests, and organic feed ration, and will have their “one bad day” on July 14th. We expect them to be in the 4-6lb range, and will sell whole fresh birds through July 18th, and whole frozen birds after that while supplies last. A whole chicken can be intimidating, both in price and to cook! We are happy to provide some recipes and/or ideas. Our family of 4 typically gets 3 different meals–plus lots of leftovers–from a single chicken: whole roasted the first night (which can be done entirely on the grill! ), chicken pot pie the next night, and a chicken soup or risotto with the bone stock after that. Chickens are $5.95/lb for 1-4 chickens, and $5.75/lb if you buy 5+. Pick-up will be on our farm on Wed. July 15 or Sat. July 18th for fresh birds; anytime after that by appt for frozen birds.